One of the many ways in which I was spoiled by my mother for my MBA graduation was that she bought me a frame for my diploma1. But not just any frame. 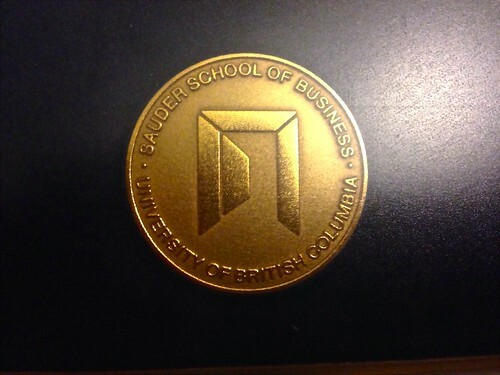 No, I needed a fancy pants Sauder School of Business frame. 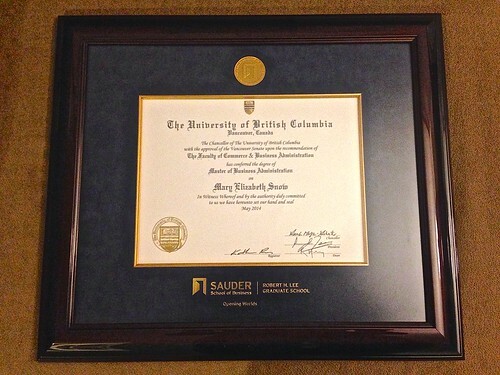 In my defence, my PhD is also from UBC and I already have a fancy pants UBC frame, so I wanted something that would make this degree look different than that one. Anyway, while my mom was here, we ordered the frame and then I dutifully waited 10 business days for shipping… and it turned out they sent the wrong frame! 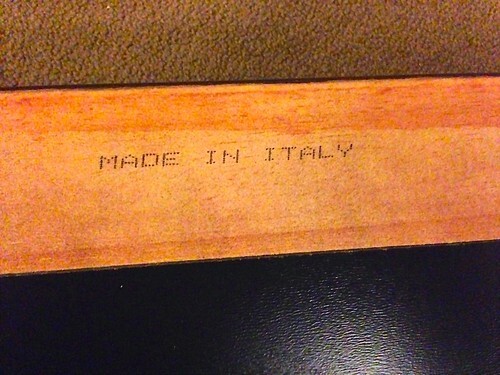 Well, technically they sent the right frame with the wrong mat. 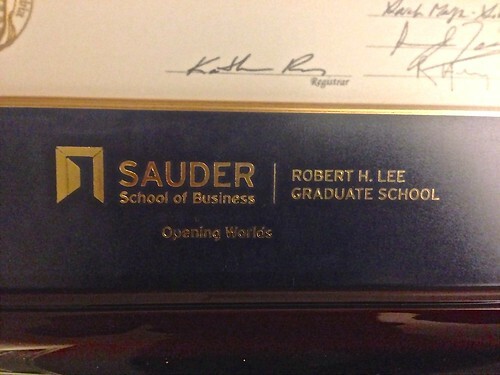 Instead of sending me the mat with the Sauder logo and the Robert H. Lee Graduate School wordmark – I was in the graduate school, after all – they sent me one with just the Sauder logo. Like as if I were an *undergrad*! The horror! 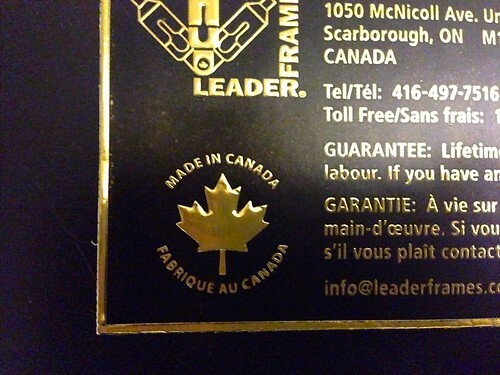 So I guess the “made in Canada” refers to the mat and/or medallion? At any rate, I have a lovely frame for my hard-earned degree. Thanks, Mom! Perhaps hanging things on walls should be my task for this weekend?